We recently received a rather lovely package in the post from Smiggle full of lovely stationary. It was all I could do not to keep it all for myself. We’ve loved trying out the pens and pencils, they’re all fab quality, H especially likes that the pens smell nice. We’ve even managed not to lose any lids yet, which is most unusual and shows how much everyone likes them that they’ve been extra careful. Z and S have been fighting over the scratch book. 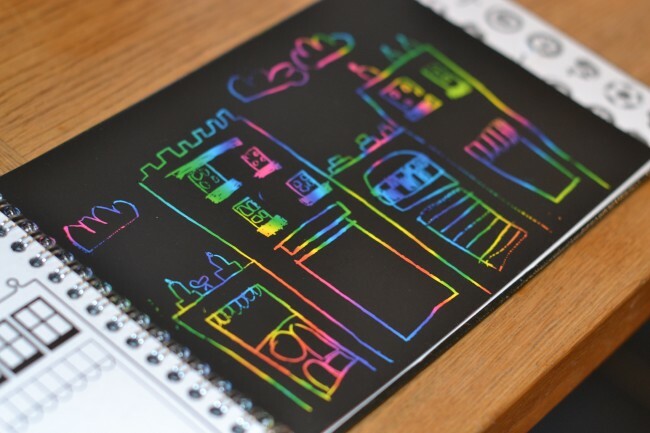 I remember making homemade versions of these when I was little using different coloured crayons and then covering the top with black. This is WAY better though. Z was also sent a rucksack, which he has used for school ever since it arrived, he tells me it’s ‘the best rucksack ever, because it has so many pockets‘. I have to agree with him that it is very cool, and even has a laptop/tablet section at the back. 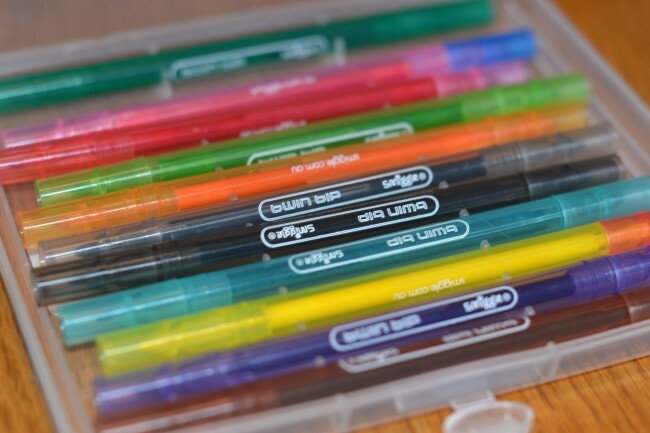 Many, many lovely creations have been inspired by the Smiggle pens. 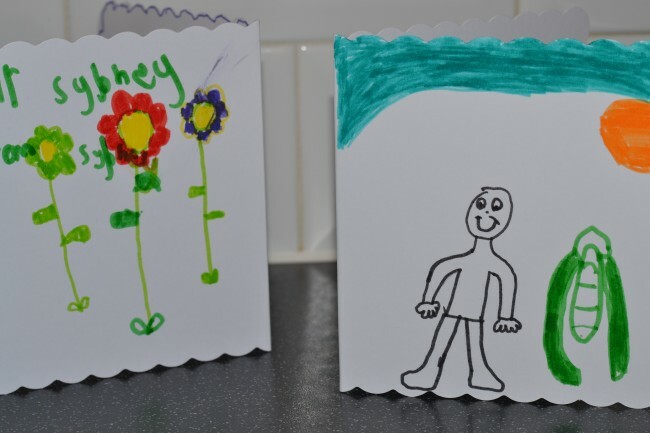 Today Z and S made thank you cards. What do you think? 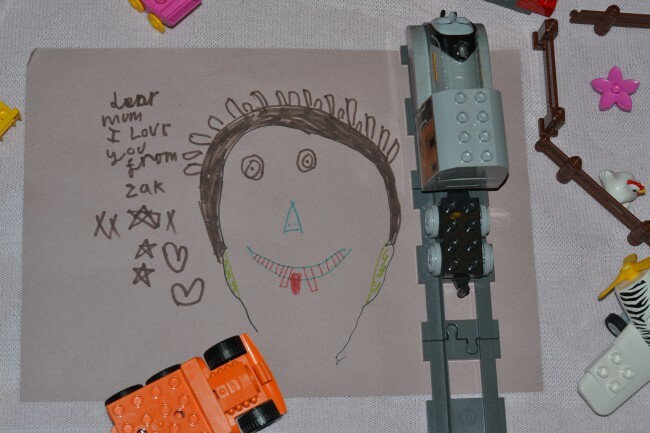 Z also drew me this, I think the drawing is of him not me. Smiggle has several stores opening soon, with the Westfield one opening on the 20th February. I’m very happy there will be a Reading branch and can’t wait to see the rest of the products. I’ve been admiring lots of them on Instagram. I love the bright colours and funky designs, they really stand out from the crowd. Thank you Smiggle for our lovely package. 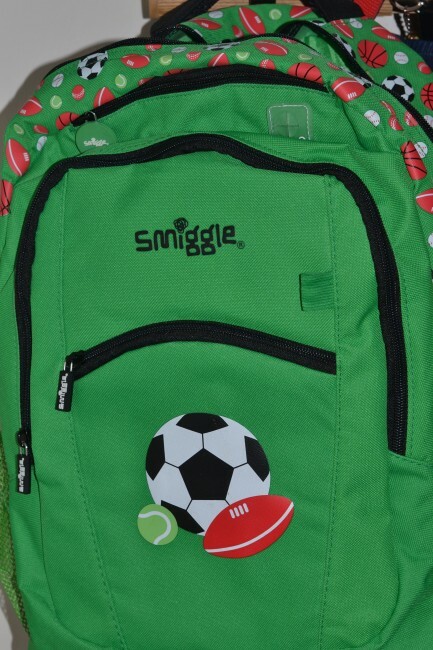 Keep up to date with products and new store openings on the Smiggle Facebook Page. We were sent the items above for the purpose of this review.